including the AUMI-KU InterArts Research Team, Affiliated Researchers, and Partners, across KU and the broader community. Elizabeth Boresow is a Board Certified Music Therapist who graduated from the University of Kansas in May 2013 with a Bachelor's Degree in Music Therapy. She was an active member of AbleHawks & Allies, a group that is "Always About Access" & a huge fan of the KU women's basketball team! Elizabeth works in the world of disability helping individuals develop skills that further their independence and promoting accessibility in the community. In 2012-2013, she used the did her Music Therapy internship in the Lawrence Public Schools. Abbey Dvorak (Music Education and Music Therapy) is a member of AUMI-KU InterArts since 2014, co-facilitator of “Do You AUMI? community jams and recording sessions, and a member of research team using the AUMI working with people with profound intellectual and multiple disabilities. Kip Haaheim (Music) has always sought out intersecting collaborative possibilities that cross boundaries and has made music on projects involving planetary scientists, anesthesiologists, ecologists, neuroscientists, and mathematicians as well as choreographers, filmmakers, and visual artists. Michelle Heffner Hayes (Dance), who teaches dance improvisation at the University of Kansas, was one of the original producers of the danceAble festival in Miami, FL, an annual event that brough international participants together in a series of movement workshops and performances of “integrated” or “mixed ability” dance. Hayes is interested in movement and improvisation on a numbetr of levels: as a means of generating new vocabulary during the choreographic process; as a form of rapid, embodied problem-solving that distinguishes live performance from other modes of being; as a theoretical model for the consideration of history, writing and memory; and as a pedagogical tool for the cultivation of mindful, collaborative ways of learning. Nicole Hodges Persley (Theatre) is a performer and scholar interested in improvisational practices in theatre and performance, who engages improvisation in cross-racial and ethnic coalition building. She has also incorporated improvisation into teaching pedagogy and undergraduate active learning experiences. She also creates and teaches improvised solo and ensemble performance. Sherrie Tucker (American Studies) comes to Improvisation Studies through her interdisciplinary collaborative engagement with Jazz Studies. She is the facilitator of the Improvisation, Gender, and the Body team for the research initiative, Improvisation, Community, and Social Practice, supported by the Social Sciences and Research Council of Canada. Ranita Wilks, ILS/Peer Counseling Specialist and Youth Employment Program (YEP!) 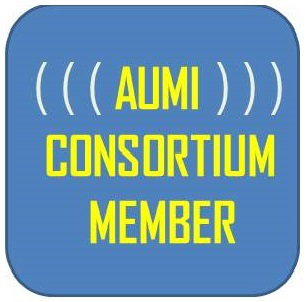 Coordinator, Independence Inc. Wilks writes,"AUMI provides an opportunity for members of our peer support group, MAG-NET! (music appreciation group-not especially talented!) to create their own fun, funky beats by wiggling their noses or shaking their bums. The objective of MAG-NET is to provide people with disabilities creative ways to make music and AUMI is a wonderful addition to the group. Currently, we’ve added the AUMI program to 12 computers in our Computer Learning Center. Consumers can individually create their own sounds or jam in a group setting." Pete Williams. Pete’s dissertation, “Weird Bodily Noises: Improvising Race, Gender, and Jazz History,” explores issues of embodiment, improvisation, and performance in Kansas City. He holds a Ph.D. in American Studies from the University of Kansas and is an improvising bassist.